Syed Monsur Uddin is editor of Surma – Britain’s largest Bengali newspaper – operating from modest premises in Quaker St. Now in its thirty-first year of publication, Surma is distributed by mainstream outlets and available in hundreds of supermarkets and corner shops up and down the nation. 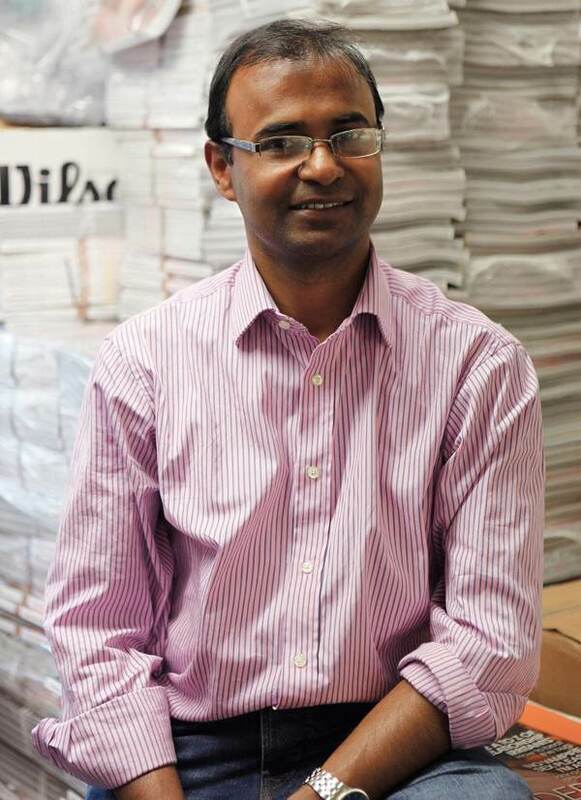 As editor of the most widely-read Bengali publication, it befalls to Syed to face the knotty dilemma of creating a weekly newspaper that reflects the nature of an increasingly diverse community, while remaining acceptable to the entire readership. Yet, in spite of this weighty responsibility, Syed presents a relaxed professional persona, displaying lively humour and carrying his status lightly. 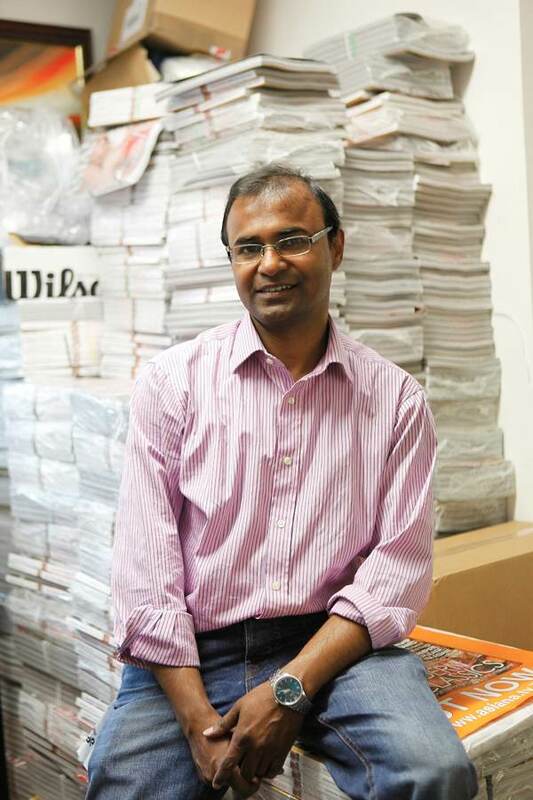 “When I came to the United Kingdom in 1997, it was to work for Bangla TV and then in 2000 there was a vacancy as a news editor here at Surma. At first, I lived in Bethnal Green but now I live in Chigwell which Charles Dickens described as the greatest place in the world. 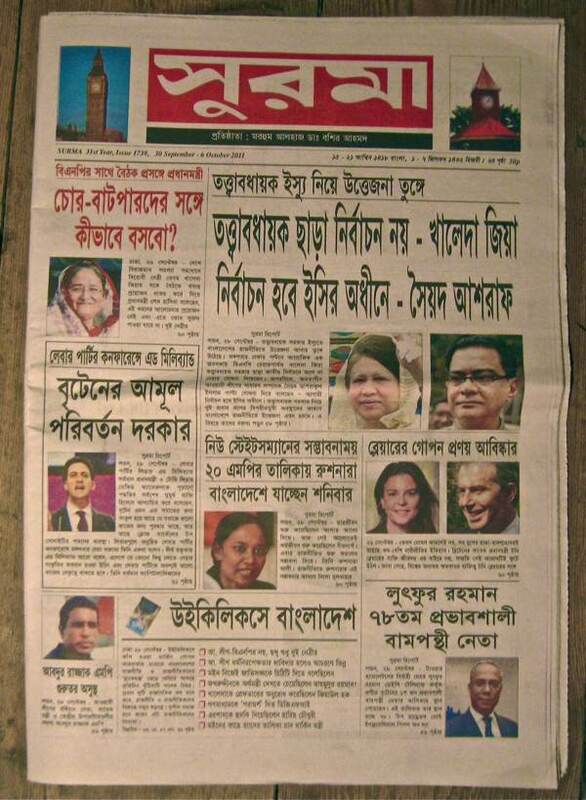 Previously, I worked at Daily Banglabazar, the primary newspaper in Bangladesh. 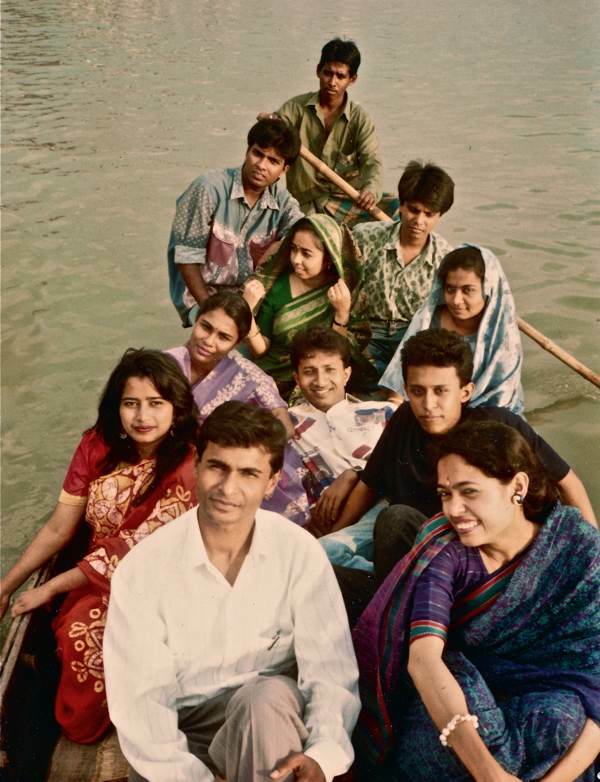 Whilst I was a student at Dhaka University, I started working as a freelancer for them and then, when I graduated, they offered me a job as a full-time journalist. As editor at Surma, it’s a mixture of reporting, translation and editorial work – it’s a varied job, and I have to do everything. I lead a team of seven, we go to print each Thursday, so Wednesday is our deadline and we can work many long hours, until two or three o’clock in the morning.We publish every Friday. I write an editorial each week and the paper is a mixture of stories from Bangladesh, stories from the UK and world news, all in Bengali. Surma is sold nationwide in every Bengali grocery store. It’s rewarding in terms of serving my community, they are immigrants, they left their country and they left their families. They want news from home in their own language. Quite a serious newspaper. I am forty years old, so this is the peak of my career. My uncle was a journalist and he introduced me to this profession. It is a very serious occupation. In no other career do people judge you every day. You have to be careful. I find it a very tough job. You have to balance everything, find the middle ground and keep everyone happy. Sometimes it is very difficult. If you appear to support the Conservatives, the Labour supporters are unhappy and vice versa. Your reputation is always on the line. We had a very bad experience in 2007, when we were all beaten up. We covered the suicide of a Bengali woman in a mental hospital. Suicide is a huge stigma amongst the Bengali community, so when we published the story – even though it was against the mental hospital – the relatives of that woman came and beat us. Her brothers and three or four other people, around eight of them, they arrived in three cars, parked outside here, came in and beat us severely. They broke a television remote control over my head! Yet our story was completely in support of the lady, criticising the negligence of the hospital which should should have supervised her twenty-four hours. It can be a dangerous job, but this is one of the most civilised countries in the world. In Bangladesh, as a journalist you can get killed – if you upset a rich or powerful person, they can order it. There is no law and order, here you can get justice. The Metropolitan Police Commander came to help us and they tried to get the thugs. We had support. This is the beauty of this country, this is why Britain is great. You will not find this in any other country except perhaps the United States. Every language, colour and creed is welcomed here. When Syed told the story about being beaten up, he pointed outside into the street – indicating where the thugs had blocked the road with their cars – and he picked up the television remote control to indicate how they broke it in pieces over his head, illustrated by dramatic eye-rolling on his part. It was a shocking story in itself, and sobering to learn that, by contrast with Bangladesh, Syed regards the United Kingdom as a safe haven for journalists. Syed Monsur Uddin can understand his readers because he has travelled their journey, from Bangladesh to the East End, and beyond – and he appreciates the human accommodations necessary upon such an odyssey across continents. His special quality – which qualifies him to edit Surma – is that instead of being doctrinaire, he has found a means to speak to his people by demonstrating generosity of spirit. 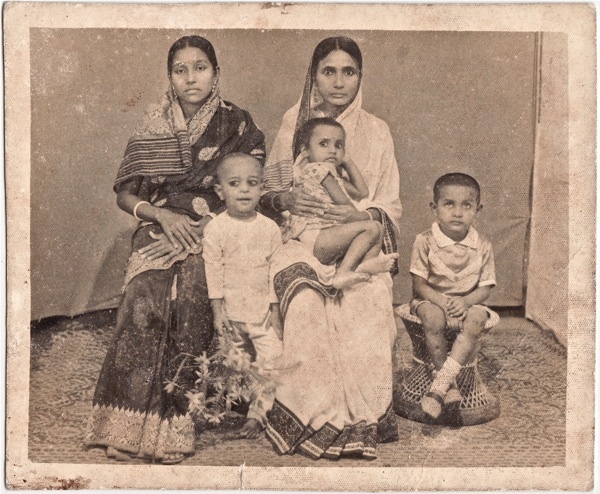 Syed is seen on the right, at three years old in 1975, in a studio portrait with his mother and aunty. 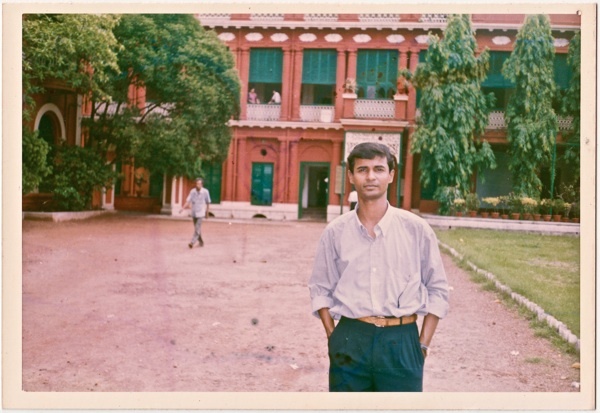 As a young student outside the house of Rabindranath Tagore in Kolkata. Enjoying a boat trip as a student 1992/93. 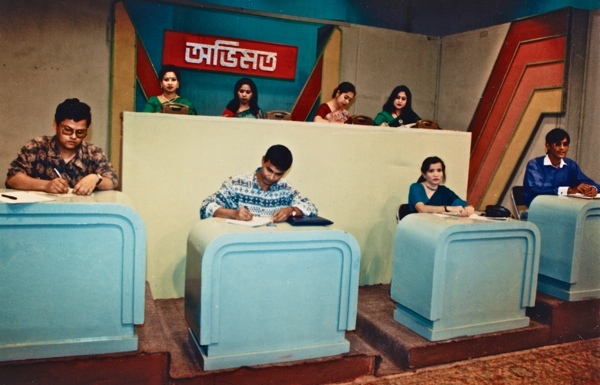 Syed working for the TV news in Bangladesh. 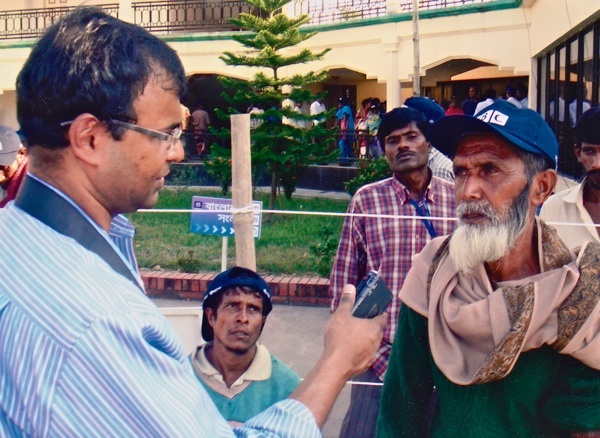 Interviewing a victim of the Bangladesh cyclone for Banglabazaar. A recent copy of Surma. Syed Monsur Uddin, Editor of Surma, Britain’s largest Bengali newspaper. Such a thoughtful and informative interview – good photos too. But then everything you give us is thoughtful and informative…and with good photos! i hope you’ll check in with him again. so much news of newspapers going under, it’s nice to hear of one which isn’t. love to know more about the range of stories they cover — the beating/suicide story is immortal, btw.